Fashionline’s Drop Arm Fabric Awnings shade windows extremely effectively in any location, For a window in a hard to reach place, they are particularly effective. They pivot in an arc, so they can extend and retract the fabric across the entire window. This shades the window but also allows space between the awnings and the window where air can circulate and, more importantly, the casement windows can open. Pay less for your home energy bills. 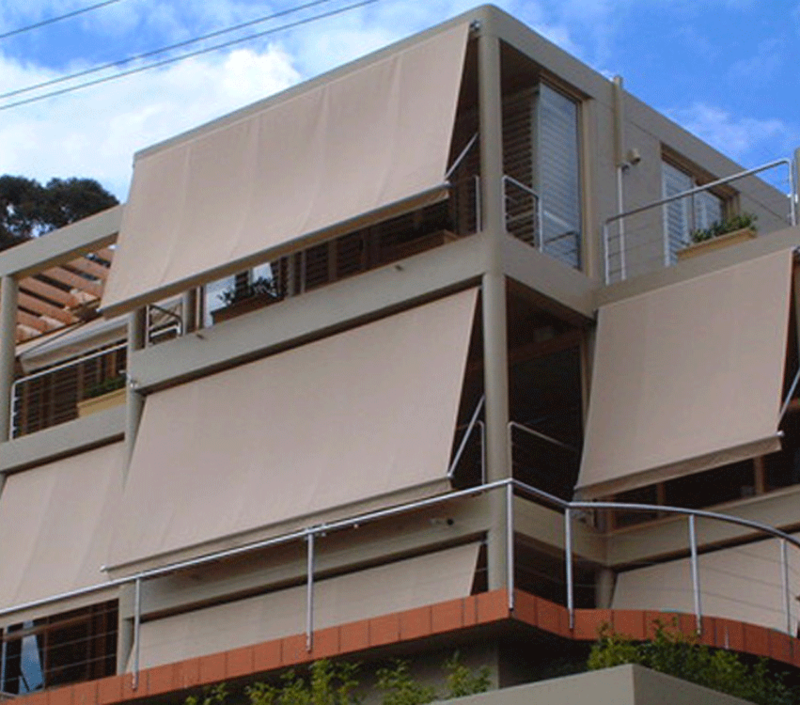 Install external Awnings on every window of your home. Outside Awnings can stop heat entering your home so you use less energy for cooling which means lower energy bills. Awnings help prevent ultraviolet rays from invading your home and bleaching the colour from your carpets and furnishings.